- The villa for rent vung tau is fully furnished. At 1st floor there is a spacious living room with modern sofa and big television. Next is the dining room and kitchen. The wall of living room is designed by almost glass so we can see outside from here such as garden and swimming pool. - The special things of this villa vung tau is big swimming pool and garden. You and your family can hold and barbecue party this area at every weekend. 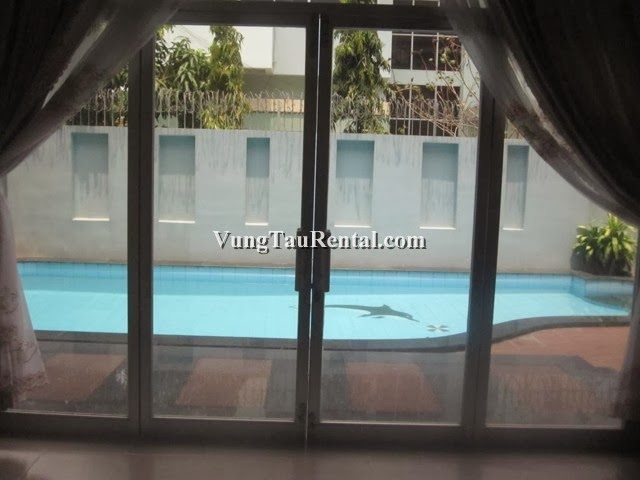 - The 2nd floor there is a nice and modern master bedroom in second floor with massage bathtub and big bathroom. Other 2 bedroom is spacious and furnished also. All rooms has air condition, good cable television and wifi internet. 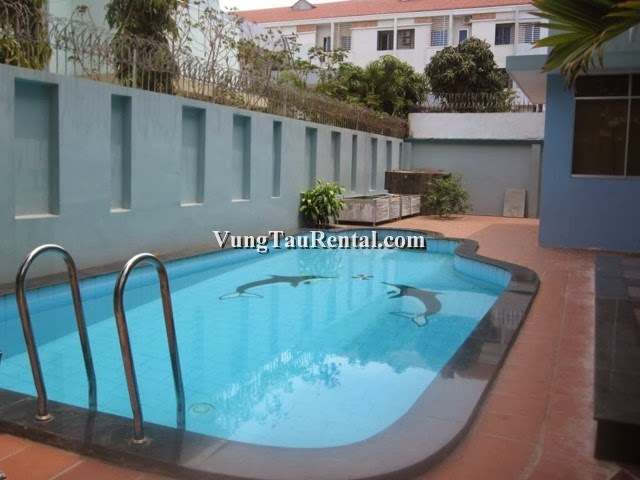 - The villa for rent is located in Back Beach area, Vung Tau city, quiet and peaceful surrounding.